Bill Montana, a senior managing director at Savills, exclaimed that Amazon would be "exceedingly foolish" to scrap its plans to move to the Big Apple. "You gotta be kidding me!" Montana, a senior managing director at brokerage Savills Studley, said when reached by phone Friday. "Amazon would be exceedingly foolish to actually pull out of this deal." 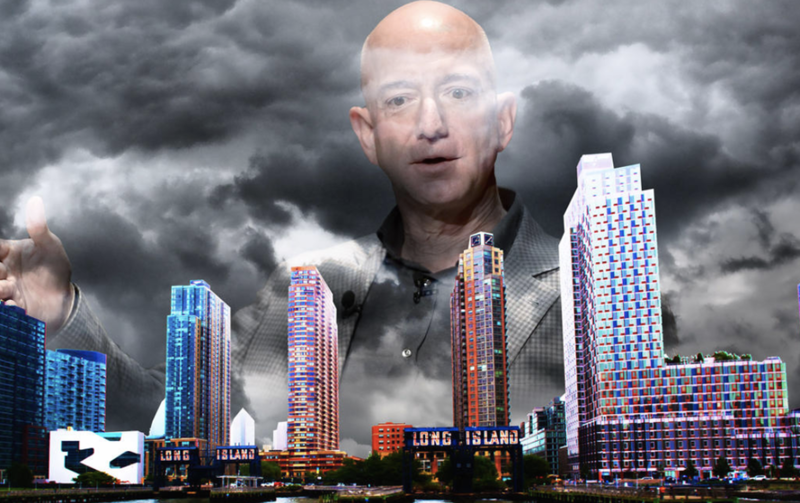 Continuing with that theme, a broker at Colliers said scrapping the move to Queens would hurt Amazon as much as - if not more than - the city itself. "It would be somewhere between a terrible shame and a devastating loss," said Michael Cohen, tri-state region president at brokerage Colliers International Group Inc.
"It’s not the end of the world, but it’s a self-inflicted wound that will possibly send the signal to others that might have wanted to follow in Amazon’s footsteps." Savanna, the owner of Citigroup's Long Island City office, affirmed that Amazon had signed a letter of intent to move about some employees into the Citigroup building at 1 Court Square. Citi is already preparing to move 1,100 employees out of the building. Both parties would undoubtedly be less-than-pleased if Amazon backed out of the agreement. Brokers who have been in the process of negotiating sales are probably also pissed about possibly losing out on some fat commissions, as even the whiff of a possible Amazon pullout could send would-be buyers - some of whom were planning to pay premiums as high as 20% over recent prices - immediately fleeing. "A lot of euphoric offers have come in for buyers that wanted to be in the area," said Adelaide Polsinelli, a broker at New York City-based Compass. "People made serious bets on Amazon being there, and there’s not much of a local office market there right now." "We have to expect that if Amazon did pull out of this deal altogether, that sales velocity might go back to the pre-Amazon number," Smith predicted. "The report is probably just a trial balloon being floated to scare people in New York to fall into line," said Tom Stringer, who works on corporate relocations as a managing director at BDO Consulting. But, he said, "I can tell you definitively that numerous state agencies are watching this closely and are in contact with Amazon and are looking for a chance to poach it."